It is Bridge 90386 according to the Minnesota Department of Transportation, but architectural historians almost speak in reverent tones when they talk about the Seventh Street Improvement Arches. 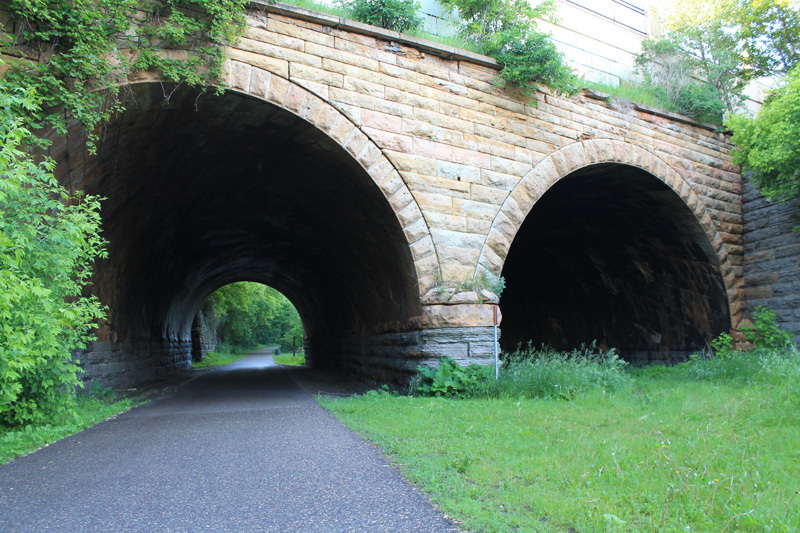 They consider them one of the most important feats of engineering in Minnesota history. As the Dayton’s Bluff grew, its residents wanted a better and safer way to get across the railroad tracks and the Phalen Creek wetland that separated the neighborhood from downtown. As early as the 1850’s, they started demanding the construction of a bridge. Finally, in 1873, an elaborate wooden bridge appeared on Seventh Street. It was not all that well-built and soon became rickety. Once the heavy streetcars made their appearance in the city, it became clear that a stronger bridge was needed. The street also needed to be rebuilt because its steepness made it almost impossible for the streetcars to make it up the grade from downtown. The Seventh Street Improvement Arches, with their unique spiral construction, were chosen to solve the special engineering challenges of the site. 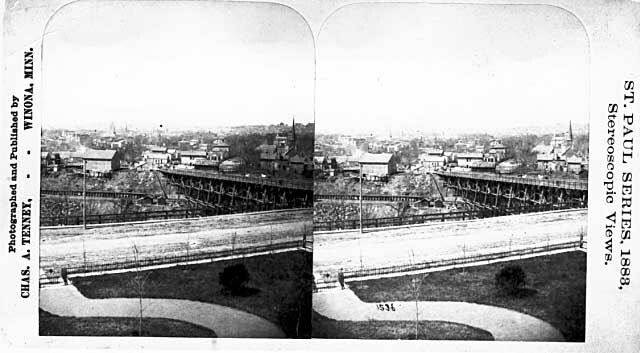 The street crossed the St. Paul and Duluth tracks at a troublesome sixty-three degree angle. 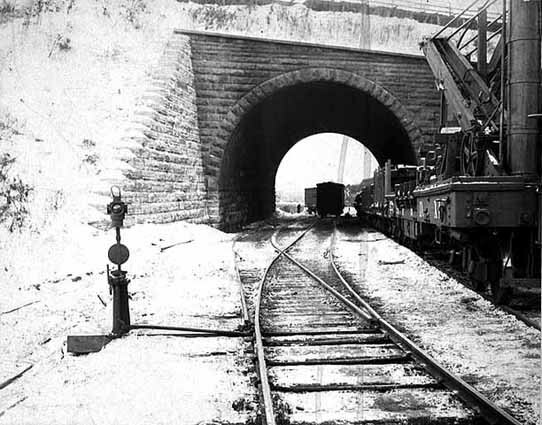 The bridge also had to carry sewer and water pipes in addition to pedestrians and streetcars. Work on the project began in September 1883, and the bridge opened for traffic on December 18, 1884. 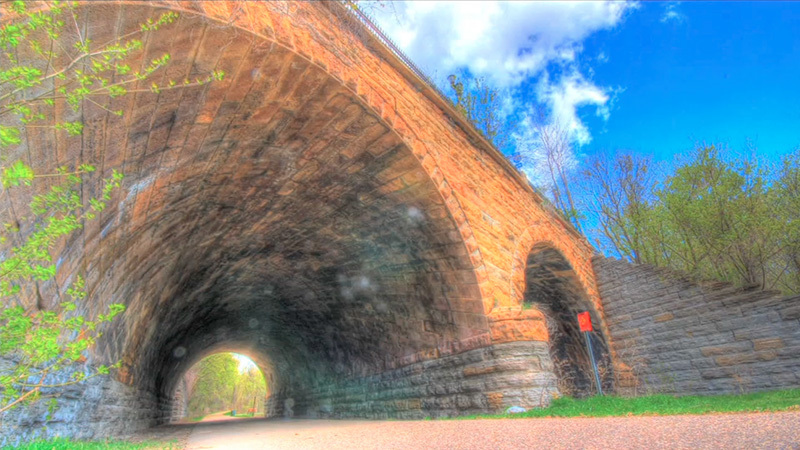 According to the State Historic Preservation Office, “the Seventh Street Improvement Arches are historically significant for its rarity and the technically demanding nature of its skewed, helicoidal, stone-arch design.” The bridge is one of the few of its style in the United States, and is the only one of its type known in Minnesota. The abutments and wing walls were built with gray limestone quarried in St. Paul, while the main structure was built with a buff-colored Kasota limestone quarried from the Minnesota River Valley. William Truesdell, an experienced local engineer who had been involved with many kinds of construction, was the designer. Raised on a farm in Wisconsin, he studied engineering at the University of Wisconsin and graduated in 1867. After working as a school teacher and a surveyor, he joined the engineering staff of the St. Paul, Minneapolis and Manitoba Railway in 1880 and was hired by the City of St. Paul Engineer's Office to supervise the entire project. One newspaper article said he was imbued with "the desire to go the beginning of things" and studied mathematics as a hobby. He was not one to flaunt his technical skills. 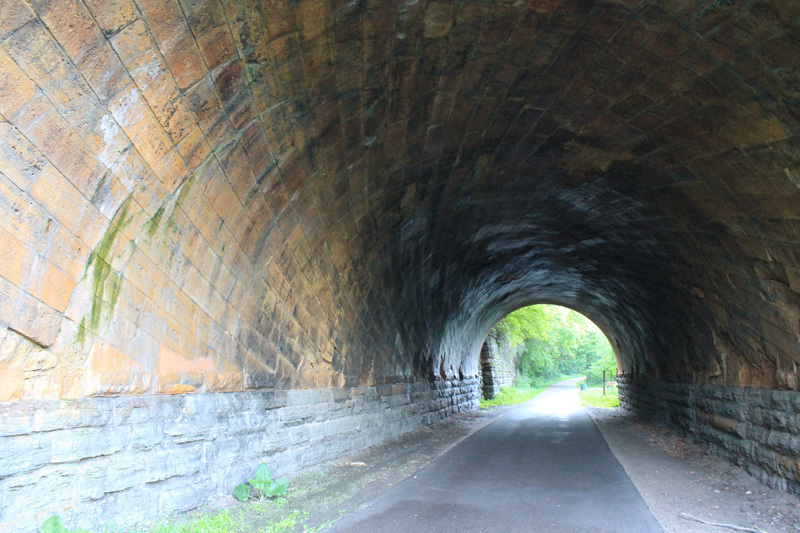 When he discussed his work on the Seventh Street Arches in a national engineering journal in 1886, he just remarked that "very few have ever been built in this country." But his fellow engineers recognized his achievements, and upon his death in 1909 characterized the bridge as "the most important piece of masonry in the city." The Seventh Street Improvement Arches represent the only documented example of Truesdell’s design work and the structure was listed on the National Register of Historic Places in 1989. It was also placed on the American Society of Civil Engineers’ Historic Civil Engineering Landmarks in 2000. Today the arches of the bridge shelter a bike and a section of the Bruce Vento Regional Trail that leads into historic Swede Hollow. To view the arches, you need to follow the paved path leads down from the small parking area south of the intersection of East Seventh and Payne Avenue. 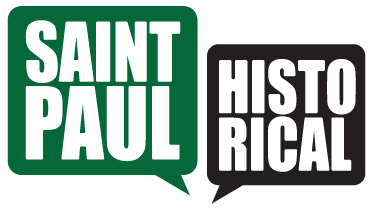 Steve Trimble, “Seventh Street Improvement Arches,” Saint Paul Historical, accessed April 21, 2019, https://saintpaulhistorical.com/items/show/26.